The Iraqi government’s two-pronged approach of concessions and crackdown is unlikely to address the source of recent unrest. What Basra needs now is increased local autonomy. On 8 July 2018 a small band of some 20-40 Iraqis gathered in the southern city of Basra. They blamed the central government in Baghdad for some 15 years of inept and corrupt governance, which has led to mass unemployment, undrinkable water and sporadic electricity. When the Iraqi Security Forces opened fire on the protestors, killing one and wounding eight, they triggered something much larger. 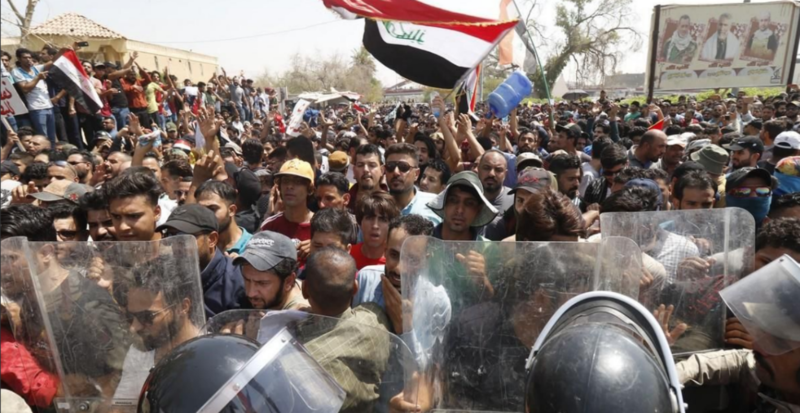 The violent suppression of a small local demonstration in Basra led to the eruption of weeks of mass protests against the Iraqi government across the Shi’i majority towns and cities of southern Iraq, as well as in Baghdad itself. Predictably, the Iraqi government reacted with a two-pronged strategy: modest political and economic concessions in which Prime Minister Abadi has pledged to invest in employment and infrastructure across the south; and an oppressive crackdown in which the internet has frequently been cut off and at least 14 protestors have been killed, 745 people injured and 800 arrested. However, while such a strategy may lead to a temporary reprieve, it is unlikely to permanently staunch the movement driving the protests because it fails to address the sequence of deep-seated and systemic challenges facing Basra and the rest of southern Iraq. The people of Basra have in fact been calling for a better deal from the central government in Baghdad since the toppling of the Baathist regime in 2003. Basra’s long struggle for increased autonomy from the central government is one of the most frequently overlooked issues driving the unrest in the south. Key to understanding the recent protests is an appreciation of Basra’s significance to Iraq. Inhabited by an estimated 4.5 million Iraqis, Basra has long been the cornerstone of Iraq’s economy: it not only produces the vast majority of Iraq’s oil wealth, but it is also home to Iraq’s crucial trading ports, used to export the commodity to the world. However, Basra’s prosperous past has been eroded by decades of war, sanctions and Baghdad’s chronically inefficient and corrupt bureaucracy. Basra has become poverty-stricken and dilapidated, while the elites in Baghdad have grown rich by siphoning from the state coffers. This has not passed unnoticed in Basra. It has fuelled a growing movement across the governorate calling for a fairer distribution of Iraq’s oil wealth and increased autonomy from Baghdad. It has gathered significant momentum in recent years and is in part fuelling the current unrest. 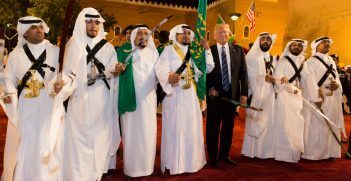 The movement dates back to the 2003 invasion of Iraq that saw the US-led coalition, including Australia, impose a democratic model following the toppling of the Baathist regime. This presented a unique opportunity for many factions within Iraq (including the Kurds and some Shi’i movements from Basra) that thought the antidote to Saddam’s highly-centralised Iraq was to devolve political power. Throughout 2003 and 2004, several prominent Basran politicians called for more independence from Baghdad and argued for a fairer distribution of Iraq’s oil wealth. 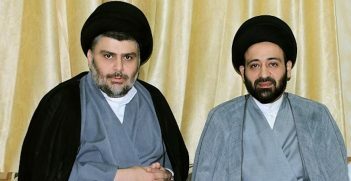 Similar voices emerged during the debates surrounding the drafting of Iraq’s constitution in 2005. One Shi’i political movement, the Supreme Council for the Islamic Revolution in Iraq, went as far as lobbying for the creation of a nine-province ‘Shi’istan’ across the Shia-majority south of Iraq with Basra as its capital. In a great victory for such movements, Iraq’s constitution permitted regional autonomy within a federal structure. However, in order to become an autonomous region, provinces must hold a referendum in which their citizens vote to remain under Baghdad’s complete control, or gain some form of independence. Since being enshrined in the constitution, a number of different Iraqi provinces have lobbied for increased independence from Baghdad. None have been more prominent, vociferous and determined as that of Basra; and none have been more actively suppressed or routinely ignored by the Iraqi government in Baghdad. For example, in late 2008 Basra submitted a petition for autonomy to Baghdad, premised on the need for greater investment in the region given its significant contribution to the Iraqi economy. However, the movement was quashed when former Prime Minister Maliki vocalised his disdain for regional autonomy, using intimidation and threats against anyone he thought was supportive of the movement. Two years later in 2010, Basra exercised its constitutional right by calling on Baghdad to hold a referendum on the region’s autonomy. Revealing his complete disregard for the Constitution, Maliki dismissed the request, stating that he would not allow the establishment of regions in Iraq because it would tear the country apart. Throughout 2013 and 2014, Basra continued to pressure Baghdad on the issue of decentralisation. Several Basran politicians even went as far as threatening to seize control of state-owned oil fields in Basra because of Baghdad’s failure to release funds to the governorate. 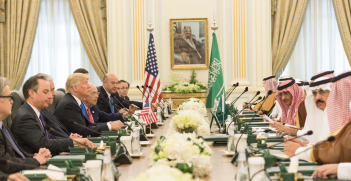 Following the Islamic State onslaught across western and central Iraq in mid-2014 and the nomination of Abadi as Iraq’s new prime minister, the push for Basran autonomy continued. Grassroots youth organisations launched a social media campaign under the title “I am for [the] Basra Region” that went viral. They also designed a new Basran flag that was hung at the airport and unfurled by football fans during a match at the Al-Mina’a stadium. Finally, in mid-2015, Basra submitted a formal request for regional autonomy. According to the guidelines set out in the Iraqi constitution, the request was accompanied by a petition signed by thousands of locals. The onus then fell on Baghdad to make the necessary arrangements to hold a governorate-wide referendum. Three years later, the referendum has yet to occur. Following weeks of unrest in late July 2018, Basra’s Provincial Council signed an official demand for Baghdad to finally implement the promised referendum. However, following 15 years of broken promises and abject failures, the people of Basra are no doubt frustrated and cynical when it comes to Baghdad’s genuine commitment to decentralisation. If Baghdad’s political elite genuinely want to move beyond the violence and unrest that has plagued Iraq over the last decade and a half, sincere progress towards decentralisation would be one way to appease the legitimate grievances of their citizens. Indeed, the fact that Basra’s campaigners have pursued their goal of decentralisation in a mostly peaceful manner and within Iraq’s constitutional and legal framework is among few positive signs for Iraqi politics. The peaceful decentralisation of southern Iraq may in fact serve as an antidote to Iraq’s ongoing conflicts and herald a move towards a more stable, democratic and peaceful future. Benjamin Isakhan is Associate Professor of Politics and Policy Studies and Founding Director of Polis, a research network for Politics and International Relations in the Alfred Deakin Institute, Deakin University, Australia. He is also Adjunct Senior Research Associate, Department of Politics and International Relations at the University of Johannesburg, South Africa. Peter E. Mulherin is a research fellow and doctoral candidate in the Alfred Deakin Institute, Deakin University, Australia.